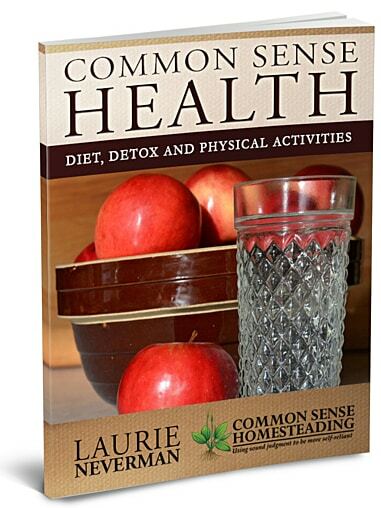 “Common Sense Health:Diet, Detox and Physical Activities” is a hype free, “back to basics” toolbox to give you ideas to help you improve your health. No big investment or complicated format, just start where you are with what you have. Detox: Things you can do to remove toxins from your life. It’s tough to heal when your body is full of garbage. Diet: Healthy eating choices, focusing on nutrient dense food. You are what you eat – make it count! Physical Activities: Go beyond exercise to activities that have been used by holistic practitioners, such as oil pulling and barefoot therapy. Our modern medical system is amazing for repairing trauma and many other health issues. But let’s face it – you’re not likely to see ads on TV promoting things like homemade chicken soup, and there’s not a lot of money to be made in treating healthy people. We’re largely on our own. If you’re looking for a simple, common sense approach to taking better care of yourself and your family, it’s time for Common Sense Health. Still not sure? You can download a free chapter here and take a peek. You can read more about the story behind the book here. Click Here to purchase the book in Amazon kindle format. Click Here to purchase in pdf format with Paypal. Life being what it is, I've been through some ups and downs since I wrote this book (I may have overdone it on the kombucha and thrown my system out of whack). I've ended up modifying my eating habits a little bit more extremely, but the book still stands as a great place to get started with healthier eating habits. I still keep the recommended detox options and activities as part of my regular routine. I want this book, but we’ve had problems with e-junkie before. They charged things that we didn’t order and never got. You can get the kindle version through Amazon. They have free software you can download from amazon.com to read it if you don’t have an e-reader. I’m the Product Development coordinator at 4Patriots and I would love to talk to you about licensing your books. Will you email me? Birch sap is supposed to be delicious “as is” or boiled into syrup. I haven’t seen your amazeing emails for awhile😪I hope I didn’t get unsubscribed. This is the best sight on the web! Practical great things I use daily. Thank you for all the hard work you are doing , it does not go unnoticed. I live out in the middle of nowhere. I’m just over the edge of the beautiful Red River Valley in Texas. The only provider that works here is Verizon and it struggles. Even Netflix buffers so much I can’t watch it. E-books are out of the question. Wish I had known before I subscribed to this site. I don’t understand your comment. You are in no way required to read any ebooks while on the site, although plenty of people have chosen to do so. We live in the country and have lousy internet, too.